Supported by the Hawaii Tourism Authority and Alohilani Resort Waikiki Beach, POW! WOW! has grown into a global network of artists and organizes gallery shows, lecture series, schools for art and music, mural projects, a large creative space named Lana Lane Studios, concerts, and live art installations across the globe. The Hawaii event took place during Valentine’s Day week in February in the Kaka’ako district of Honolulu, and brought over a hundred international and local artists together to create murals and other forms of art. 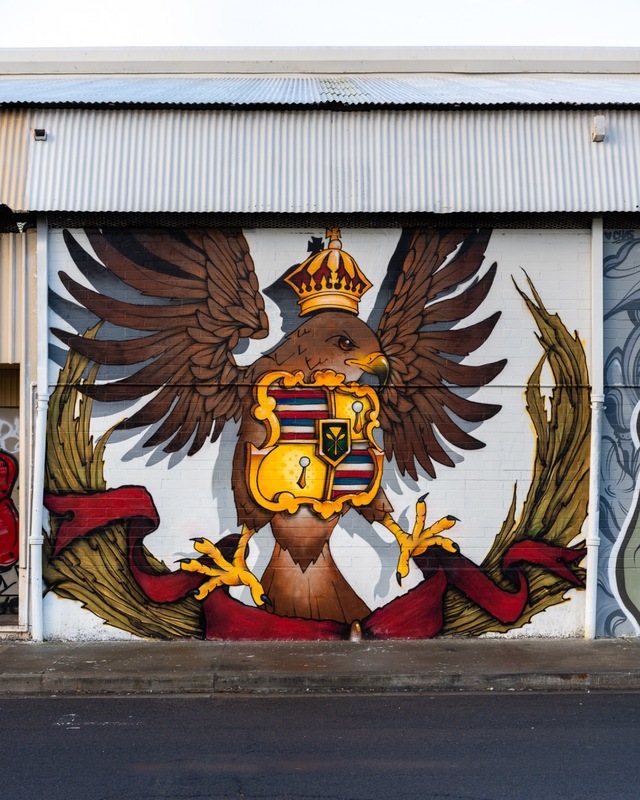 Taking place between February 8th and the 17th, artists and musicians gathered at the Kaka’ako neighborhood and created all new murals and installations. The festival was fleshed out with a block party alongside the Honolulu Night Market, an exhibition curated by Thinkspace, artist talks, screenings, indoor soccer matches with Kicks to the Pitch and Paradise Soccer Club, break dancing battles with the Endless Summer Jam, as well as a concert with Eminem at Aloha Stadium.